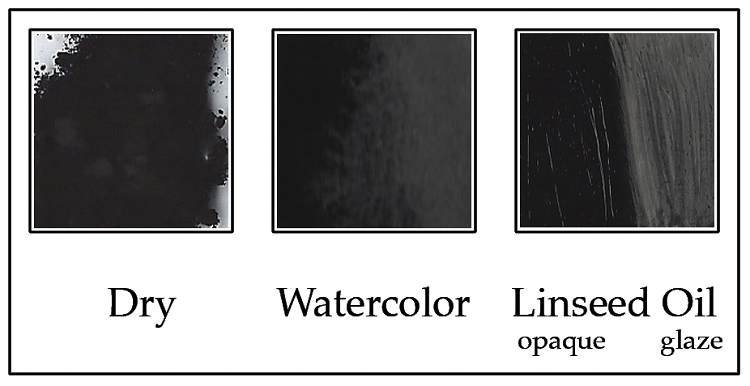 A deep, saturated, velvety black. Slow drier, Light powder. Not recommended for aqueous binders. Transparent only in strongly diluted watery suspensions like diluted drawing ink. Extraordinarily high tinting strength.